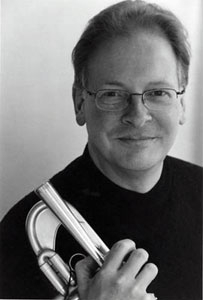 First, a reminder: This Saturday night at 8 p.m. in Mills Hall, UW trumpeter John Aley (below, in a photo by Katrin Talbot) and UW pianist Martha Fischer will perform on the Faculty Concert Series. 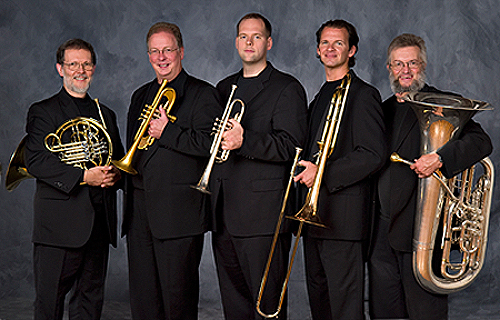 The program features “Concerto in D” by Giuseppe Tartini, for which Aley will play a piccolo trumpet; the Wisconsin premiere of “Sonata for trumpet and piano” by John Stevens (trumpet and flugelhorn); “Rose Variations” by Robert Russell Bennett (cornet); and “framed” for trumpet and piano by Cecilia McDowall. Admission is free and open tot he public. This Sunday Wisconsin Public Radio and the UW’s Chazen Museum of Art begin the new season of “SUNDAY AFTERNOON LIVE FROM THE CHAZEN.” It is the 31st season if I am not mistaken. Many do not appreciate the success of the program or series. For one, by sheer numbers it is the biggest audience (usually in the hundreds of thousands) of any classical music presenter. 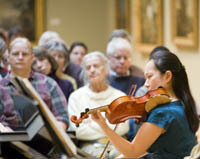 And it offers you the chance to see great visual or fine art, both in the permanent collection and in touring shows, even as you hear great classical music. 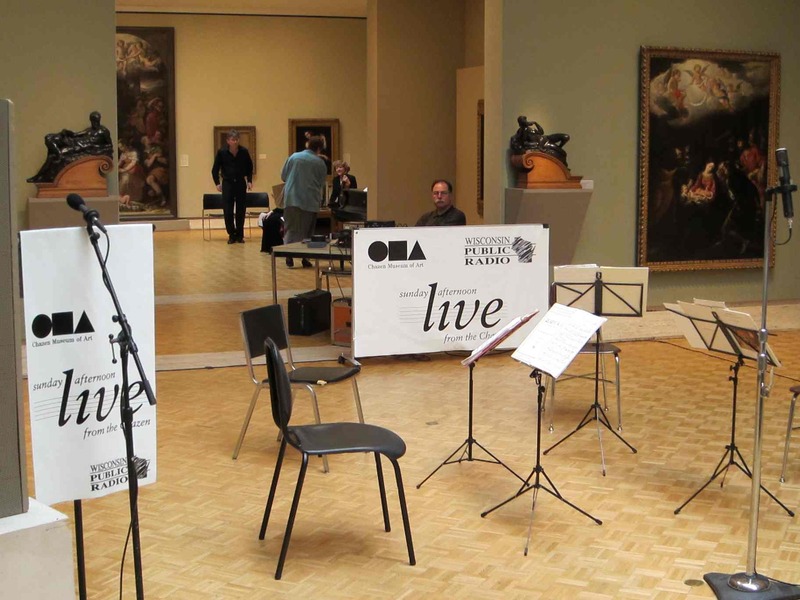 It’s broadcast live on Sundays on Wisconsin Public Radio (WERN 88.7 FM in the Madison area) from 12:30 p.m. in Brittingham Gallery III at the University of Wisconsin-Madison’s Chazen Museum of Art, 800 University Ave. A post-concert reception for the performers and audience with coffee, tea and cookies follows, as does a gallery tour. There is no admission fee, but donations are appreciated. 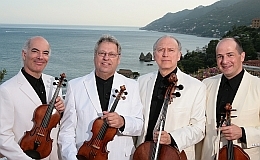 I do have some questions: Why is there no concert with the Fine Arts String Quartet (below) from the UW-Milwaukee? 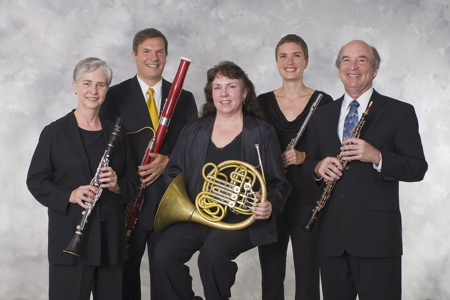 I think this is the second year in a row the world-famous group hasn’t appeared at the Chazen, where it used to play more than once a season as a regular guest. And it made sense on state radio network. Oh well, maybe on the To Be Announced date or next season. 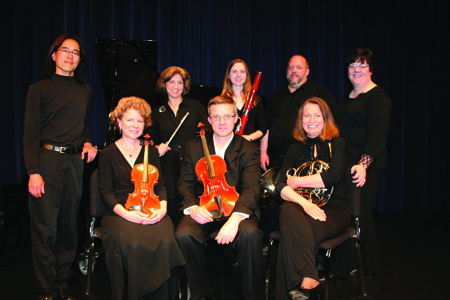 The Fine Arts is worth having as often as they can be booked. Programs aren’t in yet. 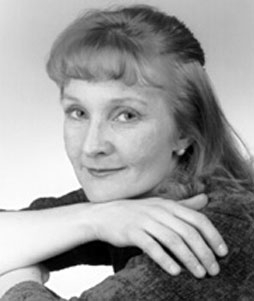 But they are often very interesting and mix unknown or obscure works with tried-and-true classics or masterpieces. 2010 is a Chopin and Schumann years (200th birthdays), so I would expect to hear a lot of them. 2011 is a Liszt year. 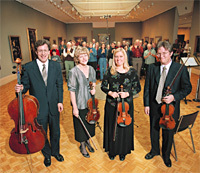 Do you go to or listen to “Sunday Live From the Chazen”? What do you think of the experience and the quality of the performers?